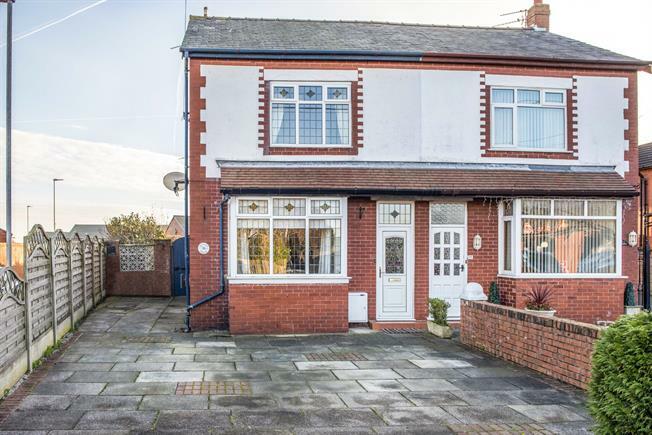 3 Bedroom Semi Detached House For Sale in Southport for Asking Price £175,000. Sitting within the West Lancashire village of Banks, Chapel Lane enjoys tremendous transport links to both Preston and Southport town centres. Furthermore, the semi rural location offer exceptional countryside walks and an enviable catchment area for local schools. Coming to the sales market courtesy of Entwistle Green is this seamlessly extended three bedroom family home. Of particular interest to families, the property allows off road parking for at least two cars to the front. Upon entry you are immediately struck by the natural light which flows throughout. The first reception room was previously two and has been knocked through to create the perfect family room. This flows to the dining room which comes open plan with the modern fitted kitchen. Externally to the rear there is a convenient WC and outdoor utility room with plumbing and electric included. The garden itself is private and is the ideal space for entertaining. Continuing the tour to the first floor you will find three generously proportioned double bedrooms and a four piece family bathroom. An early internal inspection is a necessity.